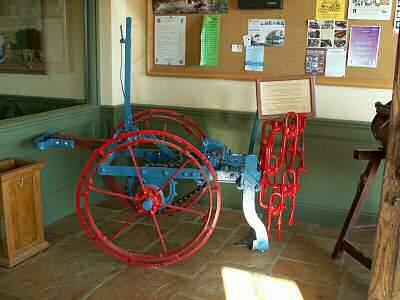 This potato digger was made by Bamfords and evolved as a result of labour shortages in the First World War. 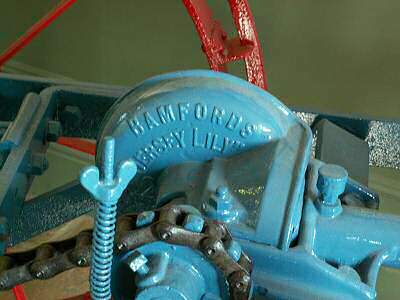 It was in widespread use at one time in Jersey. This model was literally rescued from being dumped a skip and subsequently restored by Mr Francis Laurens who recognised its historical importance. Mr & Mrs Francis Laurens generously donated it to the Royal Jersey Agricultural and Horticultural Society in 2005.